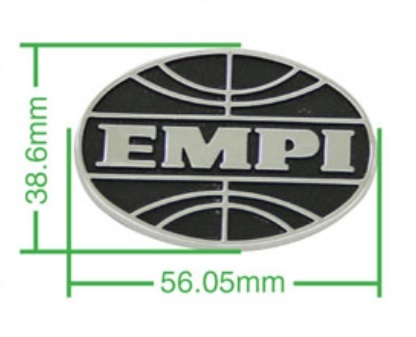 Samolepící emblem Empi litina s plastickým vzhledem. The name "EMPI" is no stranger to many, EMPI was one of the first who does not specialize in the phenomenon of air-cooled VW. "EMPI" has, over the years a very good reputation in the custom and tuning world. 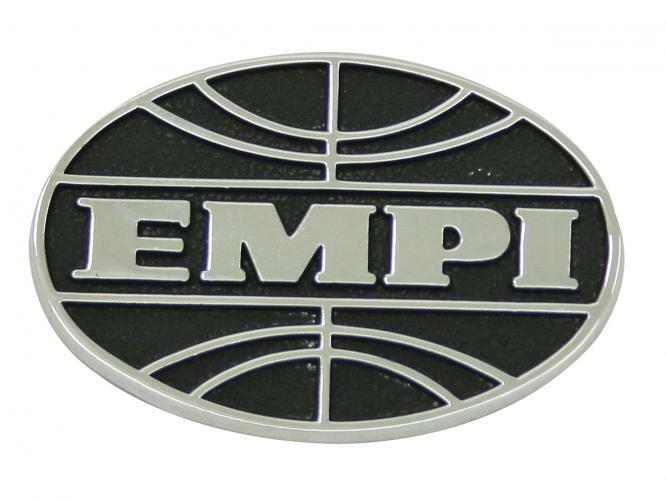 These metals "EMPI" emblems are originally from the "EMPI GTV" beetle early seventies was introduced in the U.S. market. You could at the time when the VW dealer a beetle in "GTV" performance gain. "EMPI" had this embodiment, a set of accessories that resemble the beetle had to give a more sporty appearance. A portion of this accessory package was "GTV" emblem on the right side which was confirmed and the "EMPI" logo emblem on the glove box. Both emblems are mounted using the adhesive backing.